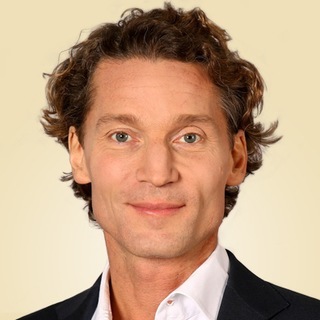 Jan Koeppen is President of Television and Direct to Consumer, EMEA. He is responsible for leading the extensive portfolio of television brands including Disney channels, ESPN, FOX, National Geographic and BabyTV, as well as regional responsibility for Direct to Consumer, Media Distribution, Strategy and Business Development. Jan joined the Walt Disney Company, following the acquisition of 21st Century Fox, where he was President, Fox Networks Group (FNG) Europe & Africa. In this role Jan had full P&L and operating responsibility for FNG’s regional businesses as well as the non-video activities of National Geographic Partners. A seasoned media executive, Koeppen first joined FNG’s parent company, 21st Century Fox in 2009 (then News Corporation) as COO Europe & Asia. Accomplishments in this role included the completion of 32 transactions and major restructurings for the group in Europe and Asia, including the majority stake acquisition of Sky Deutschland, the establishment of Star India as a standalone entity and merging the remaining Star business with FIC/FNG Asia. In his role as COO Europe & Asia he also represented 21st Century Fox on the boards of Sky Deutschland, Tata Sky, Phoenix TV (HK) and others. Prior to joining 21st Century Fox, Koeppen held a variety of posts with The Boston Consulting Group (BCG), including the role of Partner and Managing Director at the firm’s London branch, where he served as co-head of BCG’s worldwide Media Practice. Born in Germany and raised in Brussels, he holds a Masters of Management from H.E.C. Paris (Diplome H.E.C) and a B.S. in Mechanical Engineering from The George Washington University in Washington D.C. He has lived in seven countries and is fluent in English, French, German and Spanish.